The National Gallery of Modern Art (NGMA) is nestled in a green alcove off the main road away from the clamor of the traffic. Readers will remember that NGMA opened in Bangalore recently amidst controversies that invoked the ire of local artists and other members of the art community. At the moment NGMA houses approximately 500 exhibits that are spread across a corridor, tiny rooms and large spacious halls that span two floors. You need at least half a day to see the entire space. The exhibits have been displayed - classified into broad categories - according to different time periods, art schools and by artists. One can see paintings by Raja Ravi Verma, Jamini Roy, Amrita Sher-Gil, the Tagore brothers and Rabindranath Tagore and a large number of Modern and Contemporary artists. 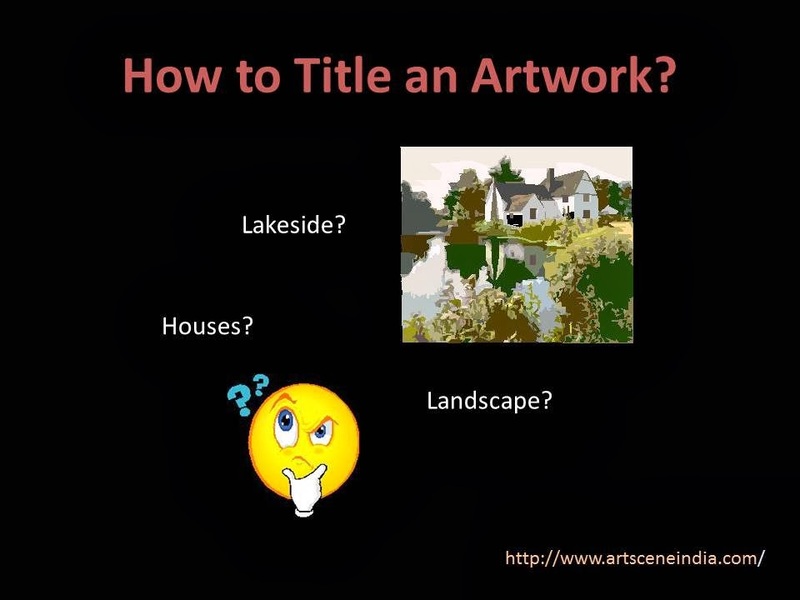 While, there has been some effort made to display the older works in various zones, the Modern and Contemporary art section appears a little scattered and it could be organized better. As one enters the gallery door, one can see old photographs, miniature art from the Rajput and Pahari schools depicting court scenes, and there are several graphic prints as well. A portrait sketch of Rajiv Gandhi done by Mukul Dey in 1945 is on display. Oil paintings by European artists who travelled to India during the late 18th to mid-19th century have also been showcased here. Ghats of Benaras, dancing girls and fauna and flora that represented exotic India form popular themes. 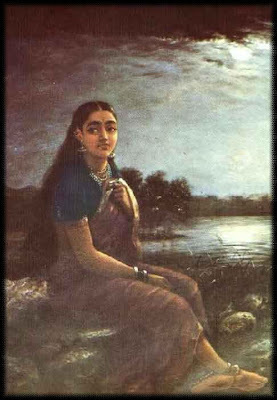 Ravi Verma’s Lady in Moonlight and Portrait of a Lady are two of his works that find a place here. In one of the large halls one comes across a small section dedicated to photographs (mostly black and white) by renowned photographers Raghu Rai and Dayanita Singh – the Masterjee series. Amongst the other works, one comes across a pair of terracotta pigs by N Pushpamala, small watercolour works by N S Harsha, a striking landscape by K K Hebbar, works by S G Vasudev, Yusuf Arakkal and Ravikumar Kashi. M F Hussain’s paintings inspired by Mother Teresa, landscapes in muted shades by Ram Kumar and an intensely dark work by S H Raza, colourful abstracts by V S Gaitonde stand out due to familiar names. Ritual Image, a complex piece by Nandagopal and Form, a minimal bronze piece by Sankho Choudhuri present interesting dimensions in sculptures. 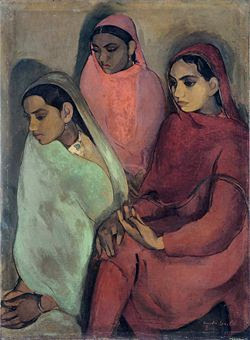 Jamini Roy’s stylized forms and Amrita Sher-Gill’s paintings form a fairly large collection. The museum is a good place to get familiar with art and artists. According to the official website of NGMA it also conducts educational and cultural activities; I hope that in Bangalore, too, it will take on such a role soon. Having started off on a wrong foot, it desperately needs to re-invent its image. 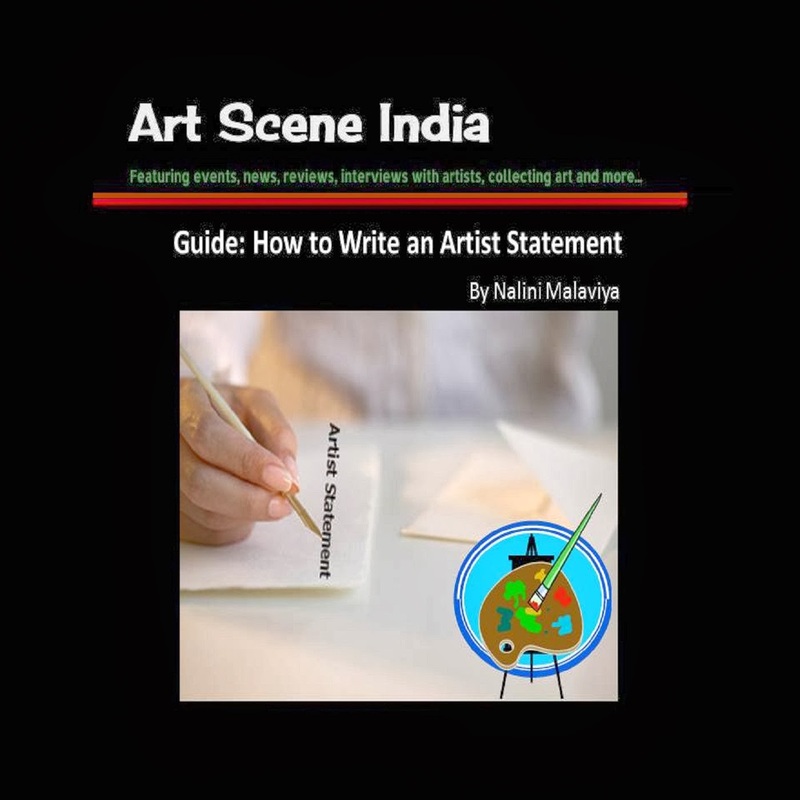 It is imperative that NGMA garners local support and involves active participation from the various members of the art community in the city. I really like the lady and the way her face is lit. I wish you Devali greetings . 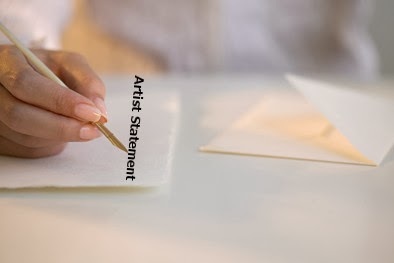 I have seen your Amazing Arts now your Art consultant & writer. 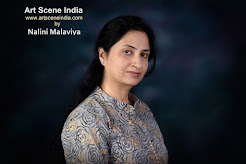 Currently writing for Financial Times (Bangalore)- every Sunday, Address, Art Etc & Art Journal. Published short fiction as part of anthologies.